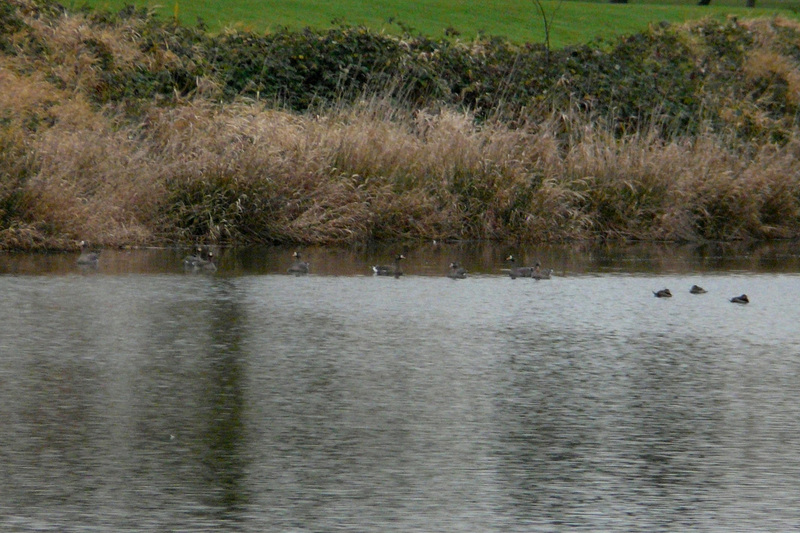 I took advantage of the short breaks in the recent rainy weather to visit Vanport Wetlands in north Portland. The dark foggy conditions did not create great photo opportunities, but there are a lot of birds using this site. 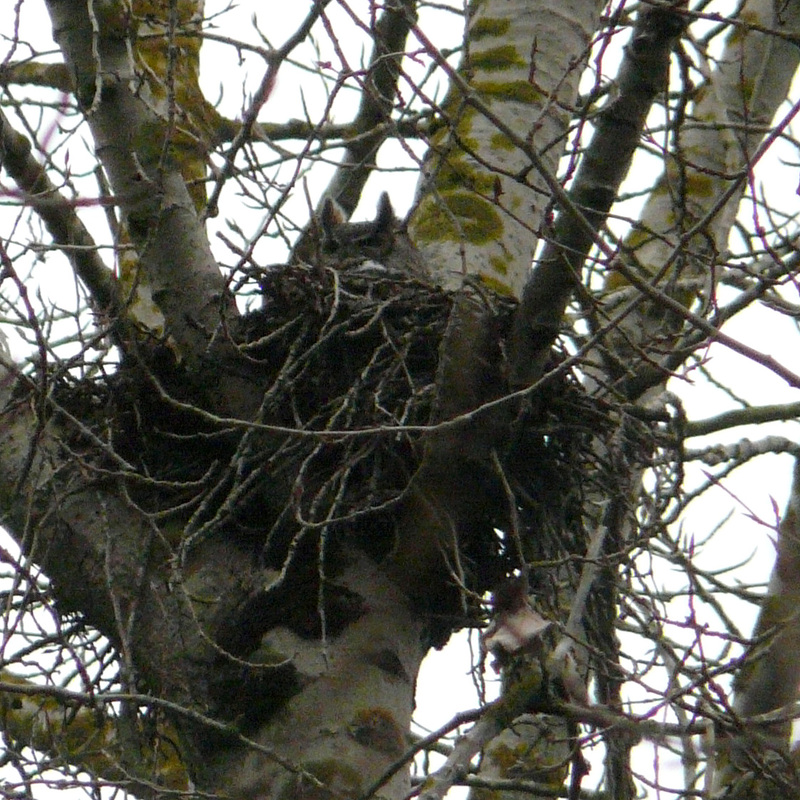 The local Great Horned Owl is already sitting on her nest. This nest successfully fledged young last year. In another sign of spring, this Great Egret is already sporting long nuptial plumes. 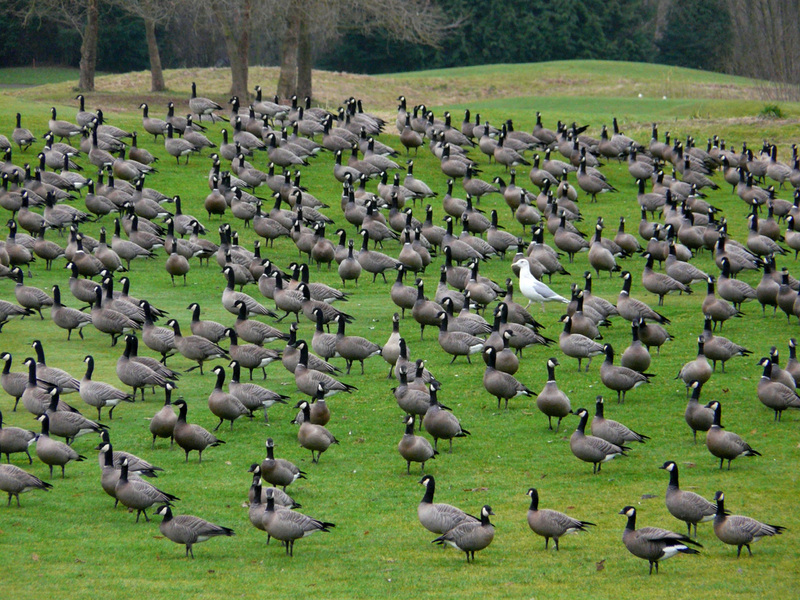 These Cackling Geese (and one Glaucous-winged Gull) were hanging out on the nearby Heron Lakes Golf Course. A Brandt has been seen on the golf course this week, but I didn’t find him on this visit. 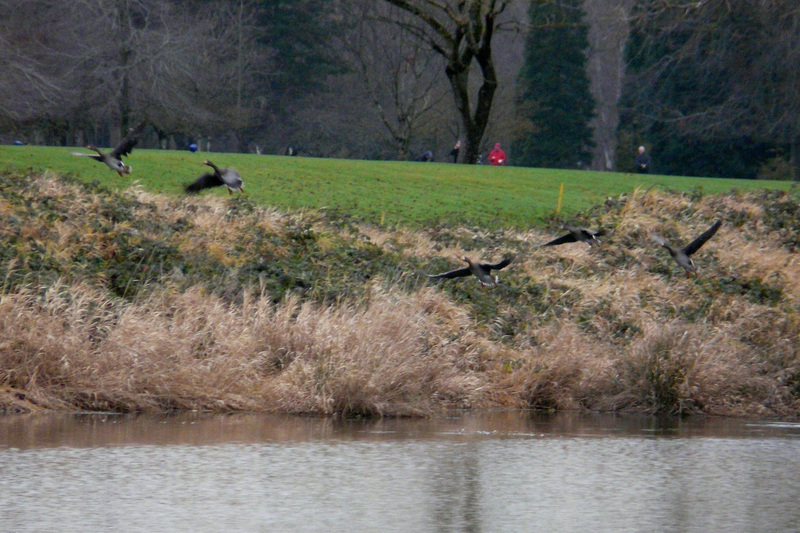 A flock of ten Greater White-fronted Geese were sitting on Force Lake, just north of the Vanport Wetlands. These geese are young birds, lacking the black and white speckling seen on the bellies of adults. 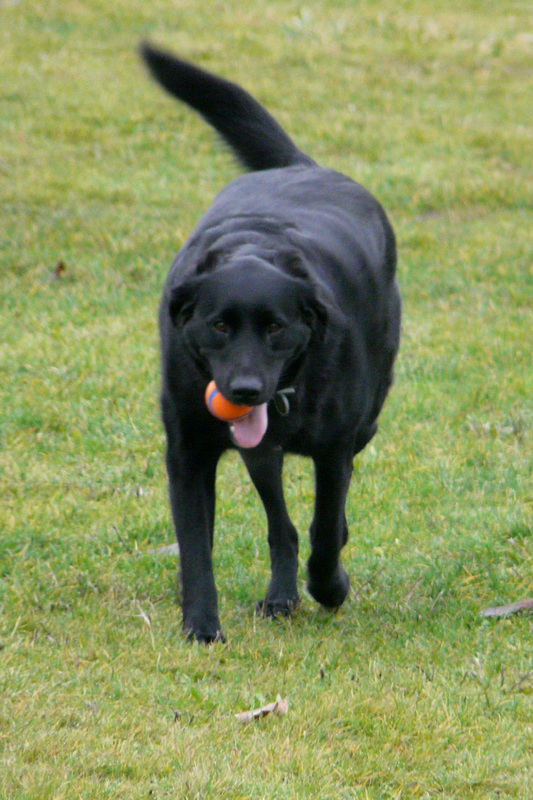 Nala is not nearly as interested in the birds of Vanport Wetlands as she is in the adjacent off-leash dog park, where she can pursue her prime interest, chasing the Orange Orb of Delight. 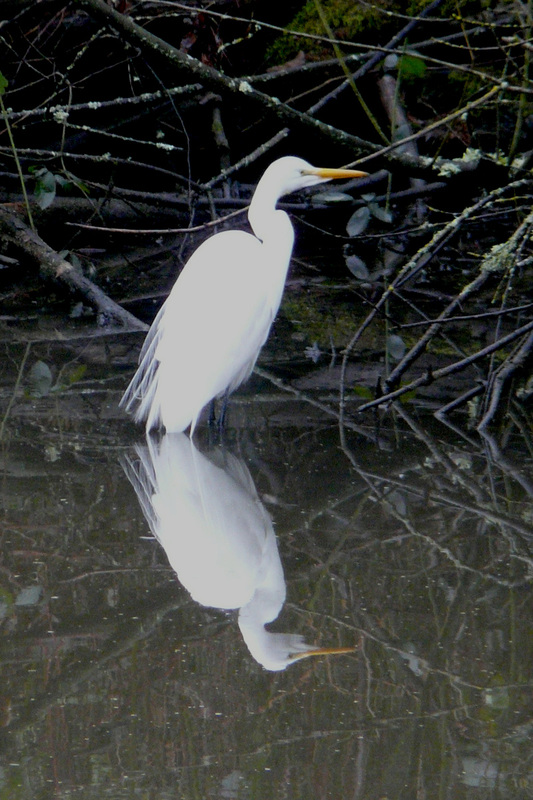 This entry was posted in OR Birding Sites and tagged Cackling Goose, Great Egret, Great Horned Owl, Greater White-fronted Goose, Vanport Wetlands. Bookmark the permalink.